Community AED units are becoming more widespread and they save lives. An AED is a computerised device that is designed to deliver a shock to a patient and bring a person's heart back to a normal beating rhythm following a cardiac arrest. 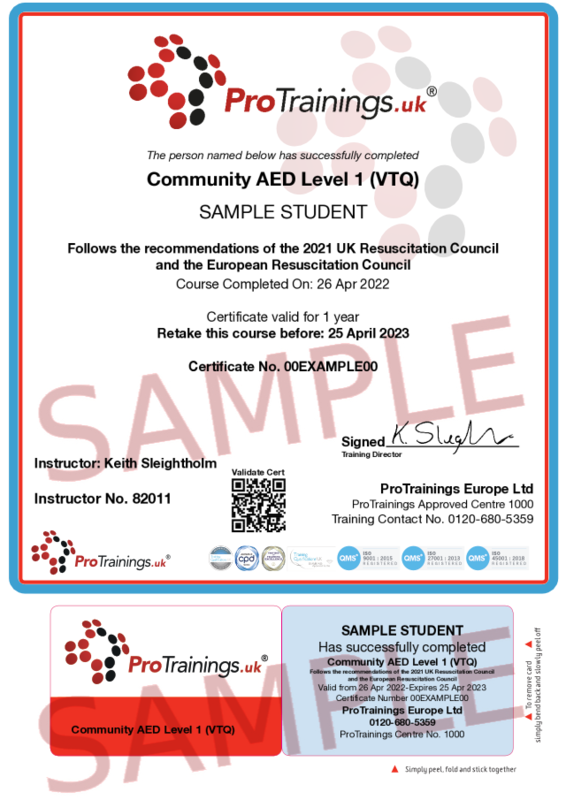 It is important to deliver the shock as soon as possible and having an AED locally in the community, saves valuable time being able to deliver the shock before the emergency medical services arrive. Learning how to use them is very easy, this video course covers the basics on CPR and AED use so that you can have the basic skills to use a community AED in an emergency. 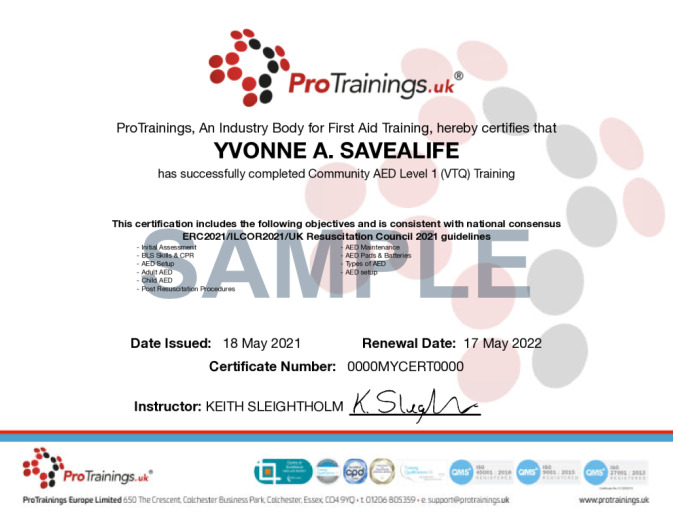 You do not have to have experience in first aid to complete this course and you do not have to complete a practical lesson as AED units are very easy to use. We offer special packages to communities wishing to train their residents on how to use an AED. If you require a practical session or other courses please contact ProTrainings on 01206 805359. This course comes with 2.0 hours of CPD, although the time to complete the course online may be less than this. Total course time includes 2 hours and 10 minutes of video training as well as knowledge reviews, final test, remedial help and reviewing downloaded material.